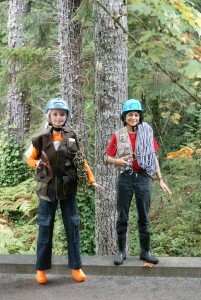 TreeTop Barbie was designed to inspire youth – especially young girls – to become aware of the field of the forest canopy. 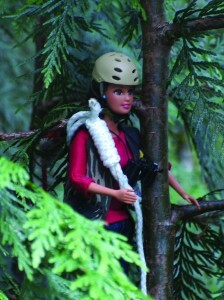 She is a real Barbie doll, but wears hand-tailored clothes that are modeled on real field clothes and climbing gear, including a field guide to canopy plants and animals (both Barbie- and human-sized). The TreeTop Barbie package includes the doll and a personal letter from Barbie about forests and their importance to people. 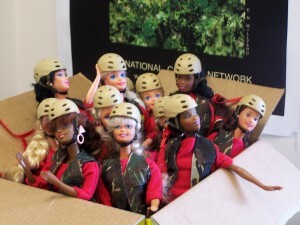 TreeTop Barbie is distributed by The International Canopy Network (ICAN), a not-for-profit organization dedicated to promoting forest canopy conservation through research and education. Funds generated will support this and other outreach activities.